M I L K are pleased to present Elbows at Dawn, a two-person exhibition of Matt Antoniak and Matt Wilkinson. Working across painting, photography and video, both artists bring a forensic eye to overlooked objects and situations within daily life. This interest in the trivial imbues the works with surrealist tendencies and a quiet politicism. 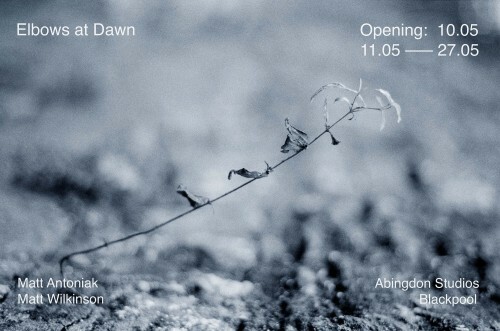 Elbows at Dawn will feature new work from both artists made specially for the exhibition. Matt Antoniak (b. 1991). Recent exhibitions include: Les Boîtes, Suede Gallery, Edinburgh; The Bunt, Ginny Projects, London; People See Nothing, Division of Labour, London; East Midlands Today, curated by ebc, Two Queens, Leicester; Like the green fig tree, WORKPLACE, Gateshead. Matt Wilkinson (b. 1992). Recent exhibitions include: SPECTRA Light Festival, Aberdeen; Experimental Film Festival, Middlesbrough; Les Boîtes, Suede Gallery, Edinburgh; One foot in the cradle, House of Blah Blah, Middlesbrough; Dialogus, Lungs Project, Vane, Newcastle upon Tyne.